The number of automotive nameplates that have stuck around as long as the 2017 Firebird Pontiac are few and far between. In its half-century — it marks its 50th birthday this year — Pontiac’s long-standing 2+2 “Eagle” has become a piece of Americana, as much as Elvis or baseball. This is a good thing, as the U.S. automaker plans on selling its all-new, sixth-generation 2017 Firebird Pontiac around the world. While the 2017 Firebird’s front-end takes its cues from the Trans Am car, the rest of the design is pure Firebird, with leaner proportions inspired by the 1967 to 1977 Firebirds also on hand in the Pontiac design studio. Benefiting from a purpose-built Firebird chassis — the 2017 Firebird is more space-efficient inside as well, with better outward visibility, a roomier cabin and a bigger trunk. Also, in anticipation of attracting more import-brand buyers, the 2017 Firebird Pontiac gets over 15 new technology offerings, such as adaptive cruise control and collision warning, a new four-mode (Normal, Sport+, Track, Snow/Rain) driver-selectable system that tunes the Firebird’s steering, stability controls and engine, individual tire pressure monitoring system, and intelligent key access and push start. If the production 2017 Firebirds end up anywhere near as well-crafted as the prototype we were sitting in, Pontiac has upped the ante in fit and finish and use of high-quality materials compared to its less-refined competition. Throughout the new 2017 Firebird cabin, you’ll find soft-touch plastics and real aluminum and leather assembled tightly and accurately. 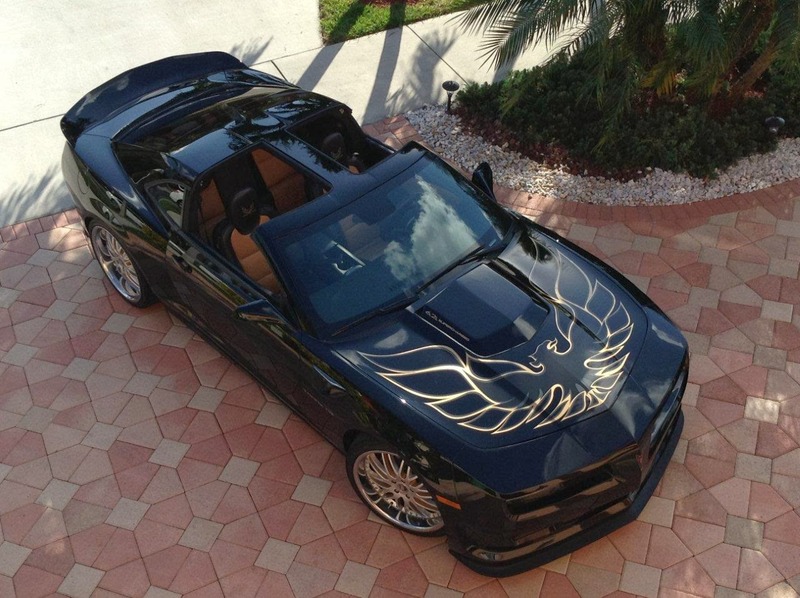 @ FirebirdPontiac.Com 2017 Firebird 2017 Firebird Convertible ''2017Firebird'' T-Top Price, Photo’s. Awesome Inc. theme. Powered by Blogger.